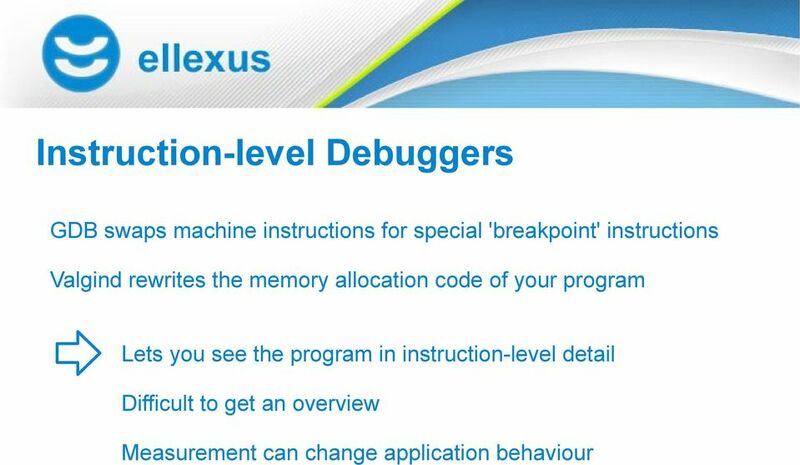 Download "Application-Level Debugging and Profiling: Gaps in the Tool Ecosystem. 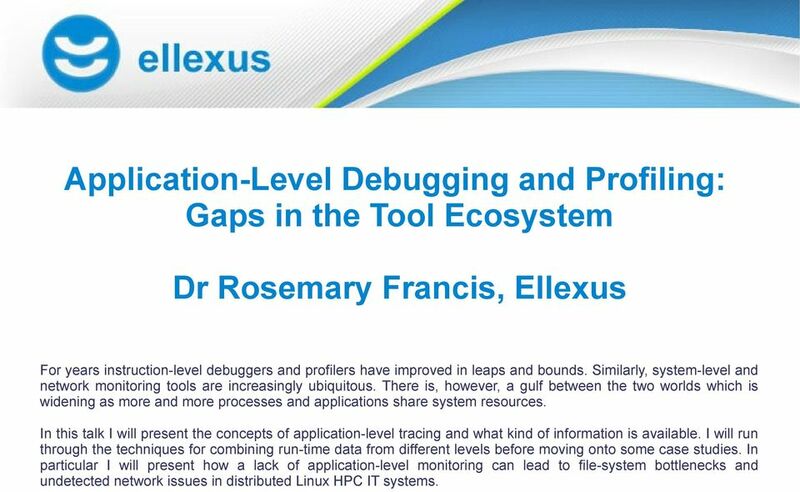 Dr Rosemary Francis, Ellexus"
1 Application-Level Debugging and Profiling: Gaps in the Tool Ecosystem Dr Rosemary Francis, Ellexus For years instruction-level debuggers and profilers have improved in leaps and bounds. 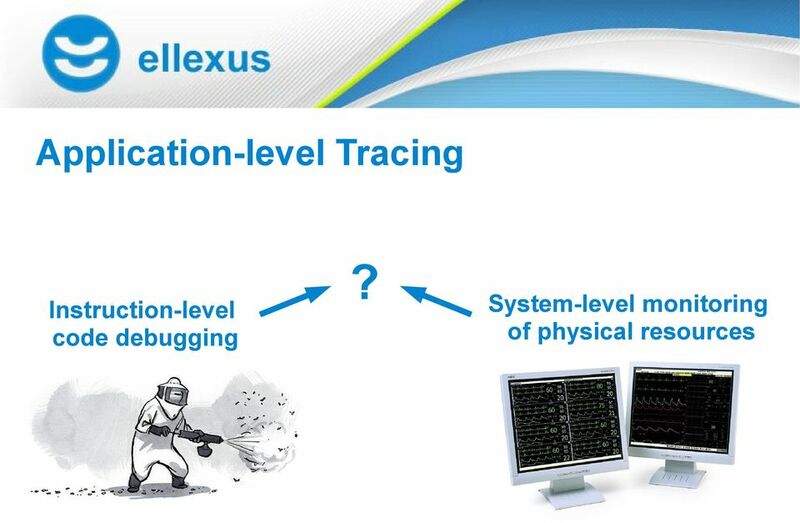 Similarly, system-level and network monitoring tools are increasingly ubiquitous. There is, however, a gulf between the two worlds which is widening as more and more processes and applications share system resources. 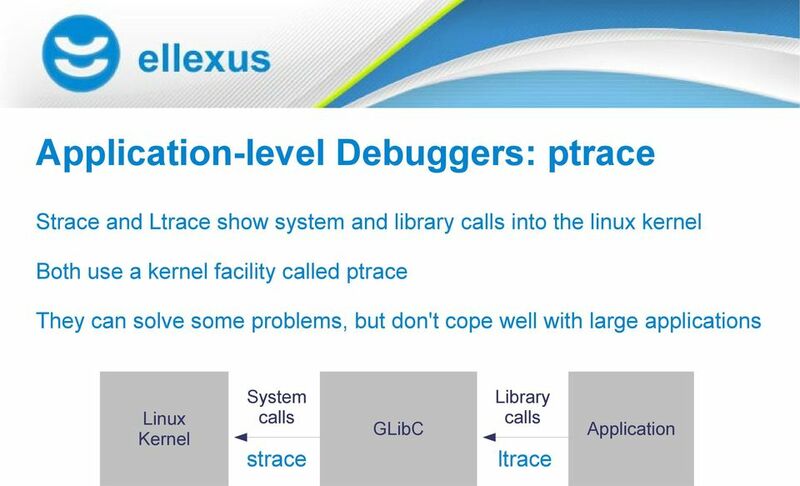 In this talk I will present the concepts of application-level tracing and what kind of information is available. 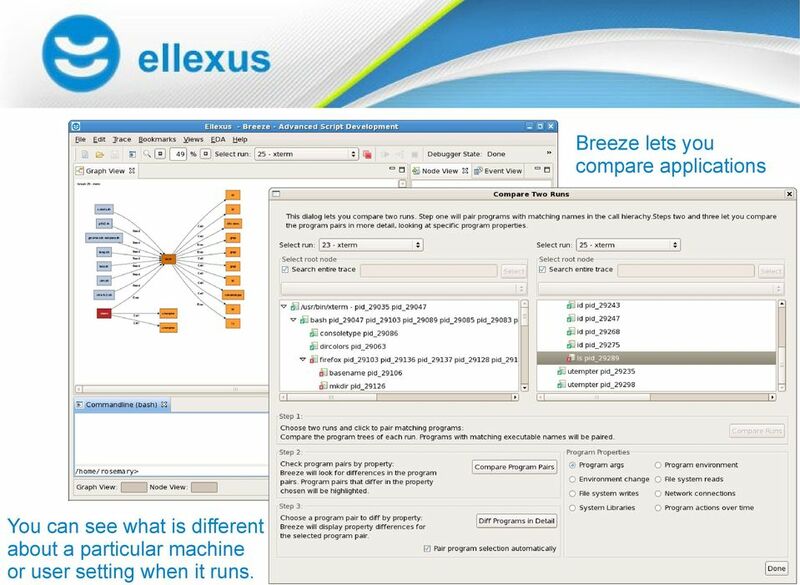 I will run through the techniques for combining run-time data from different levels before moving onto some case studies. 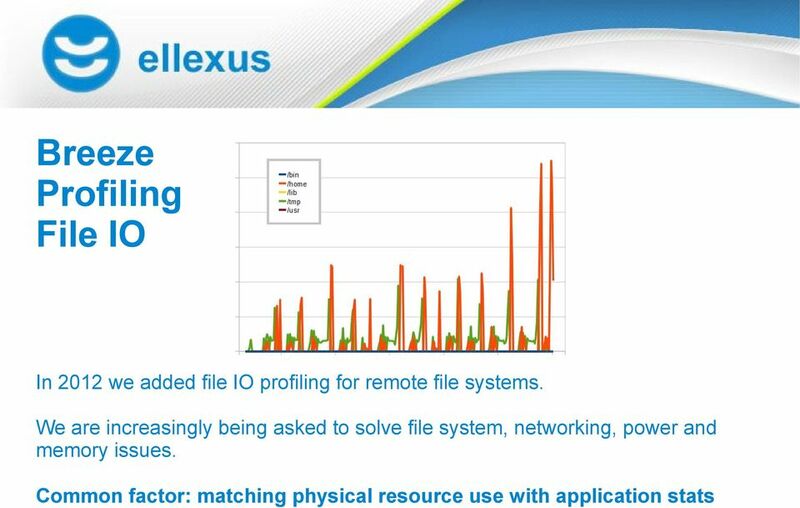 In particular I will present how a lack of application-level monitoring can lead to file-system bottlenecks and undetected network issues in distributed Linux HPC IT systems. 3 Who am I? PhD in Semiconductor Architecture and Electronic Design Automation (CAD) Embedded Software and Digital Design Too much time spent installing and configuring the CAD tools. Too much time reading scripts. 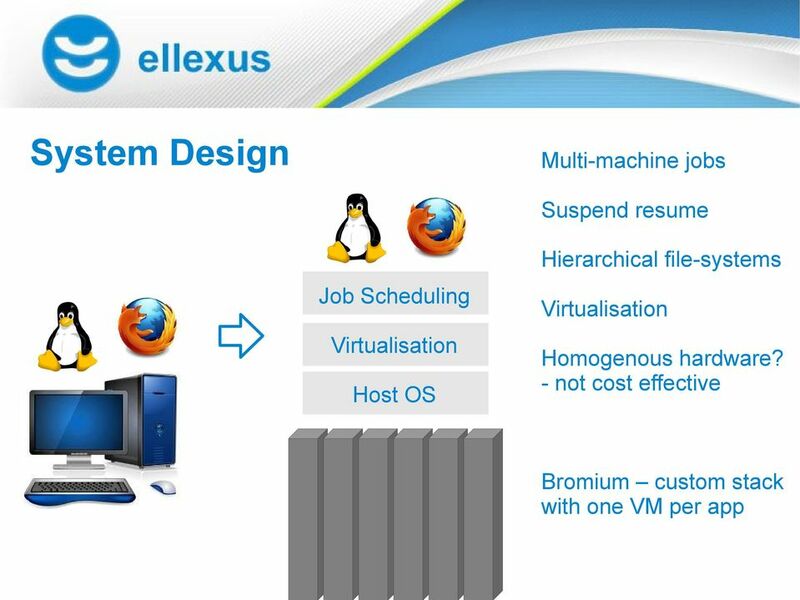 Technical Director, Ellexus Ltd Specialists in: - Tracing Linux applications - Profiling application file IO We work out why your application doesn't work where it should. 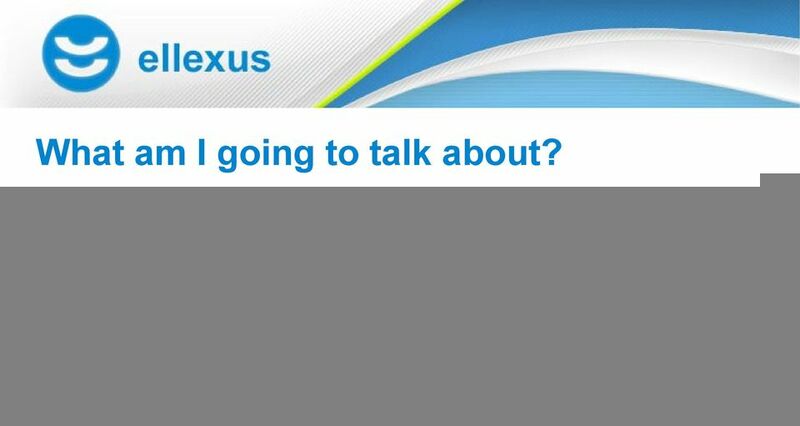 We take the guess-work out of build issues and installation problems. 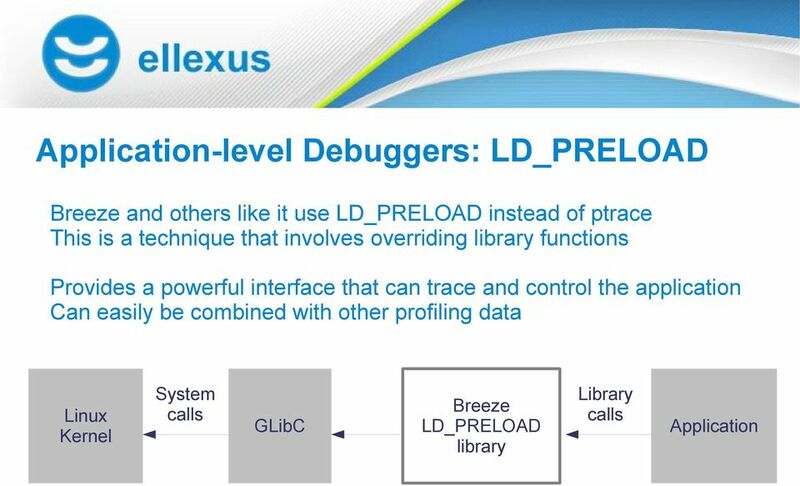 5 Breeze Originally designed to help debug scripted flows Extended to solve library dependency issues, track build dependencies and other system-level problems. 8 What else is available? How does it work? 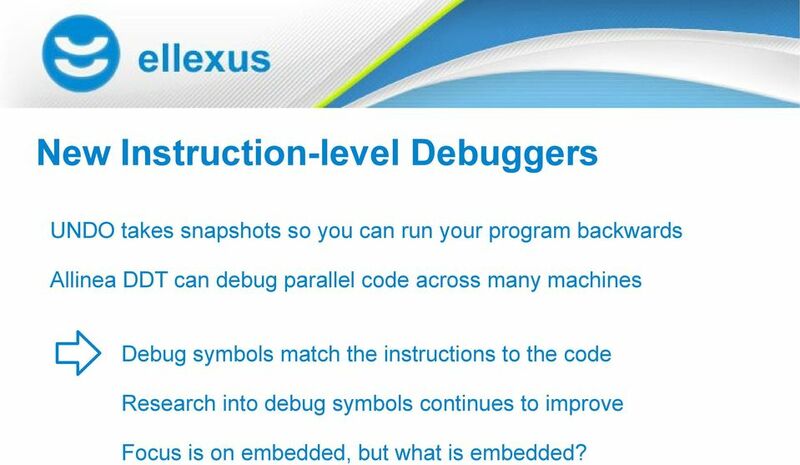 10 New Instruction-level Debuggers UNDO takes snapshots so you can run your program backwards Allinea DDT can debug parallel code across many machines Debug symbols match the instructions to the code Research into debug symbols continues to improve Focus is on embedded, but what is embedded? 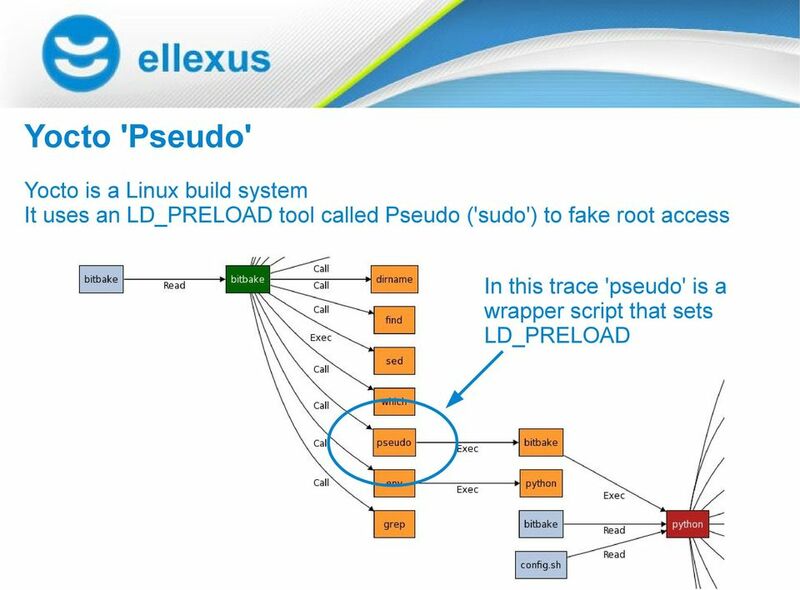 17 Yocto 'Pseudo' (2) The LD_PRELOAD library redirects calls to open() read() and write() into a database. The build thinks it is running as root and accessing the file system as normal. 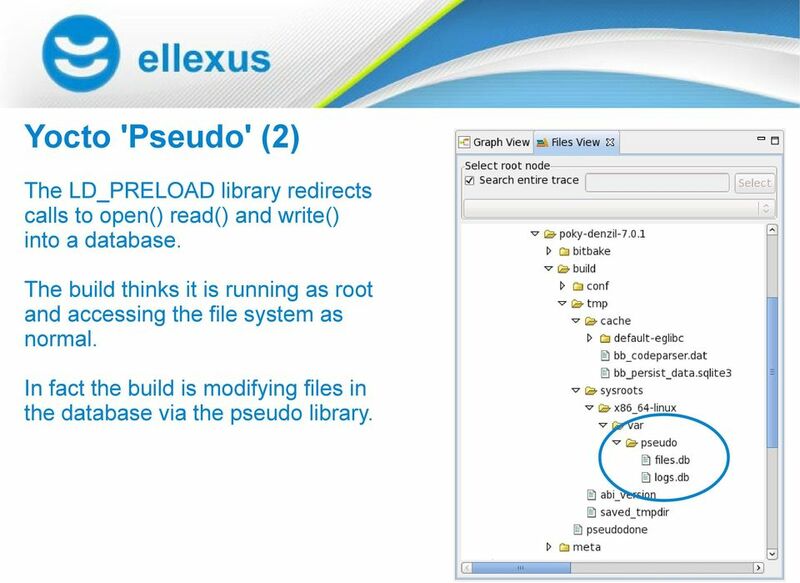 In fact the build is modifying files in the database via the pseudo library. 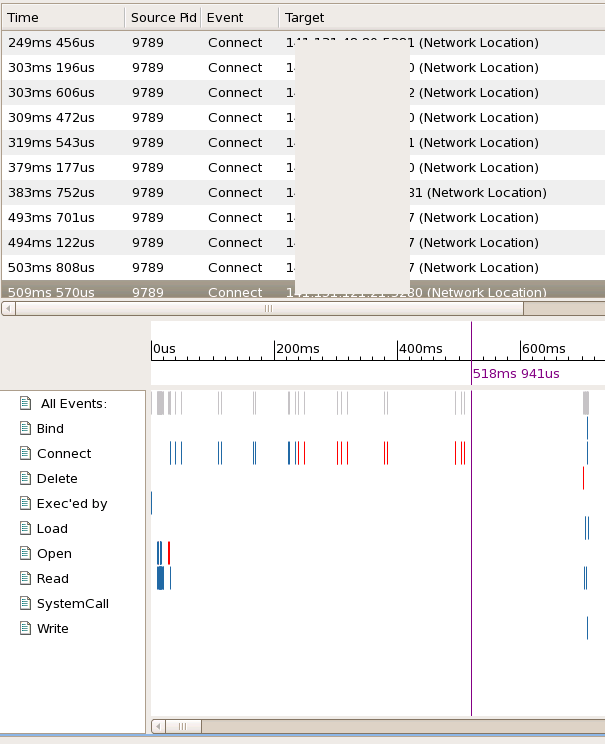 19 Why should you care about application tracing? 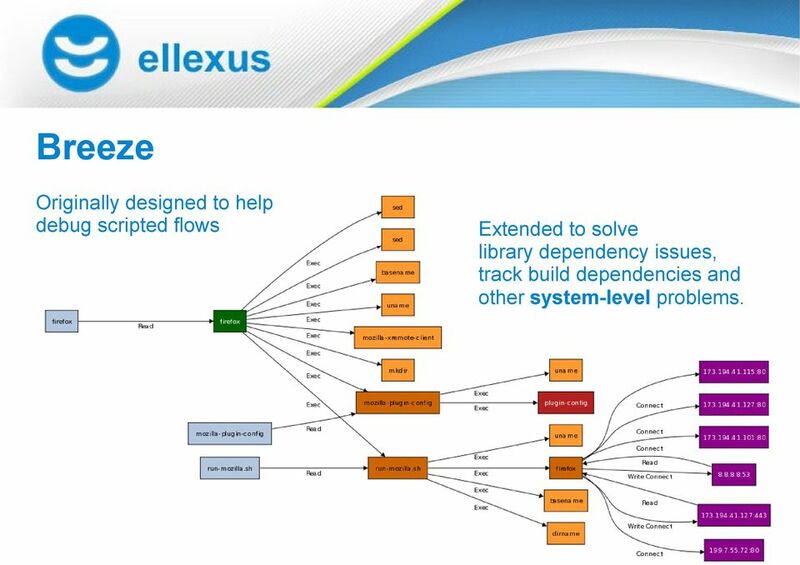 22 Case Study 1: ARM CAD Flow Script dependencies Application dependencies ARM scripted flow License settings 3 rd party application Is everything being stored in the right place? 26 Case Study 3: Tracing X This time it was easy, but how long until we can't do this? 27 Where do we go from here? 31 Solution: Custom profiling frameworks Breeze: *Trace Customisable LD_PRELOAD framework Jtrace : Java profiling and debugging Open Source framework for inserting java snipppets into classes Lets you instrument the java class libraries what next?? 32 Big Data: Monitor everything and correlate Grab information at all levels and look for trends Difficult to get fine-grain covereage without harming performance Could be the only way to improve performance in very complex systems Cloud computing is only going to get more complicated With enough data we could not only spot drops in performance, but we could predict resource needs such as memory consumption and power. 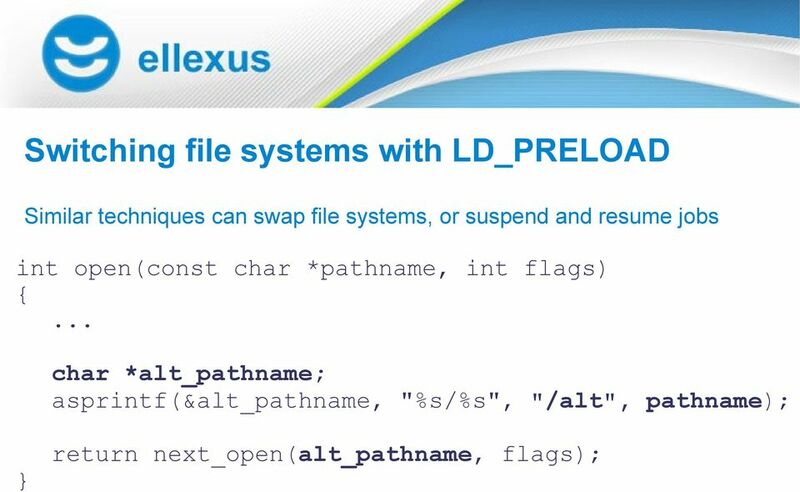 EXPLORING LINUX KERNEL: THE EASY WAY! Cloud Server. Parallels. An Introduction to Operating System Virtualization and Parallels Cloud Server. White Paper. www.parallels. Parallels Desktop Enterprise Edition Running Parallels Desktop as a Virtual Machine Server Build 9.0.23350 or later Copyright 1999-2014 Parallels IP Holdings GmbH and its affiliates. All rights reserved. CIS 551 / TCOM 401 Computer and Network Security Spring 2007 Lecture 3 1/18/07 CIS/TCOM 551 1 Announcements Email project groups to Jeff (vaughan2 AT seas.upenn.edu) by Jan. 25 Start your projects early! 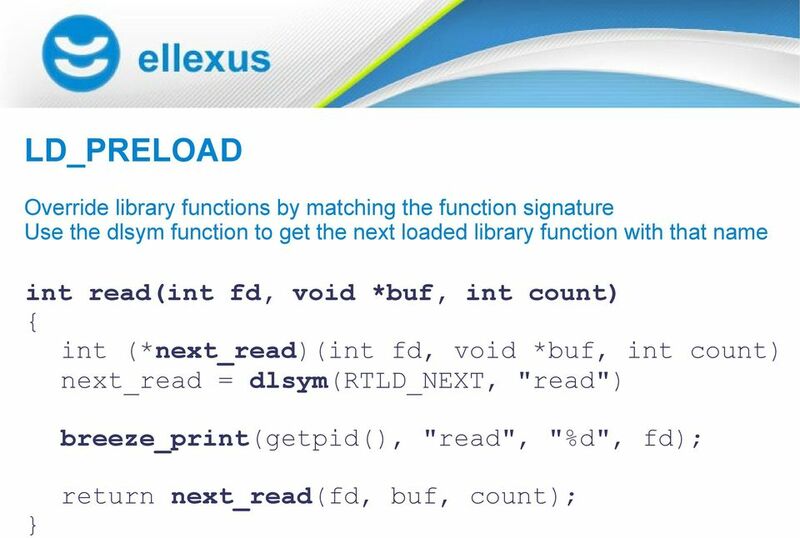 Helping you avoid stack overflow crashes! 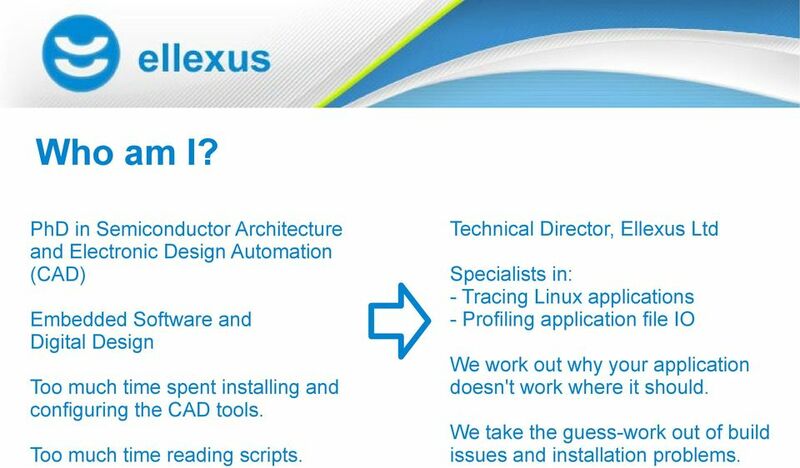 PetaLinux SDK User Guide Application Development Guide Notice of Disclaimer The information disclosed to you hereunder (the "Materials") is provided solely for the selection and use of Xilinx products. With Cloud Computing, Who Needs Performance Testing? How Docker Helped to Scale a Developer SaaS Platform. Mayur Suresh Shah, Sr. Product Manager, WaveMaker Inc.
VMware Server 2.0 Essentials Virtualization Deployment and Management . This PDF is provided for personal use only. Unauthorized use, reproduction and/or distribution strictly prohibited. All rights reserved. Operating System Components and Services Tom Kelliher, CS 311 Feb. 6, 2012 Announcements: From last time: 1. System architecture issues. 2. I/O programming. 3. Memory hierarchy. 4. Hardware protection. Cloud Computing Lectures 3 and 4 Grid Schedulers: Condor 2014-2015 Up until now Introduction. Definition of Cloud Computing. 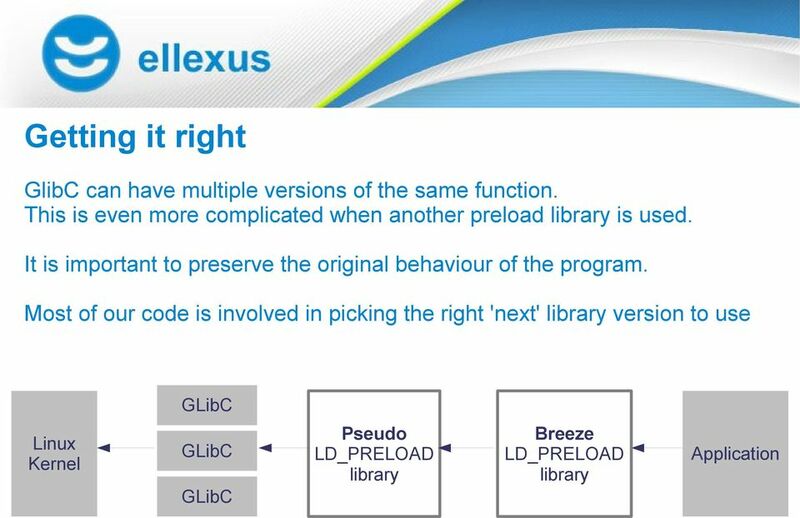 Grid Computing: Schedulers: Condor architecture. Summary Condor: user perspective.